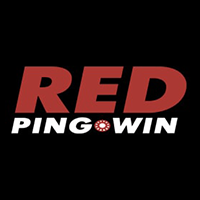 Red Pingwin Casino made its way to the top because of its huge gaming library and rewarding tournaments. 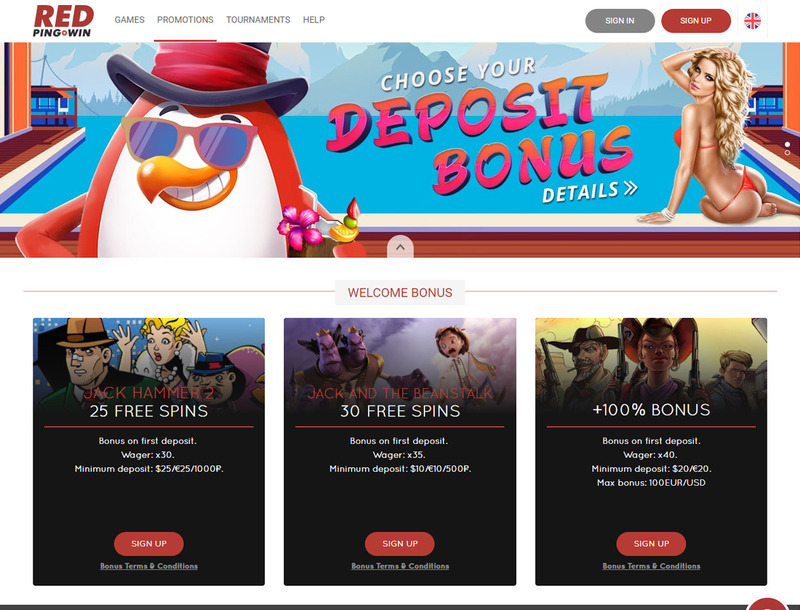 This is why players from different parts of the world prefer this casino and its quirky red penguin mascot living on an island. This casino, owned and operated by Direx N.V, is the perfect gaming portal for beginners and experts in the gambling industry. With its simple interface, you can easily find your preferred games. Enjoy the different welcome bonuses in store for you. 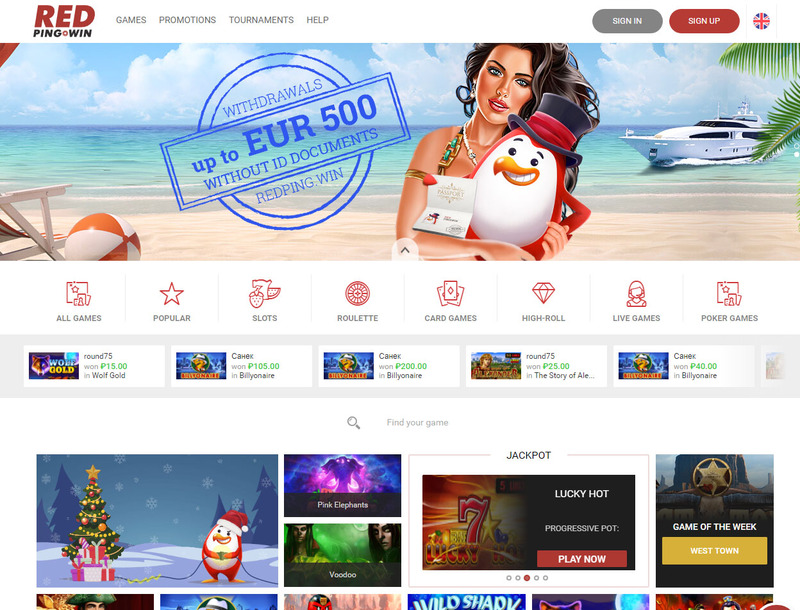 Discover more treasures in this island full of prizes as you play more on this betting site. The Bitcoin casino promotes its different card games—baccarat, blackjack, hi-lo, punto banco, and pontoon, among others. There are various roulette games to choose from as well. Poker games, like Texas hold’em, Carribbean Poker, and more are also part of the games that you can play here. 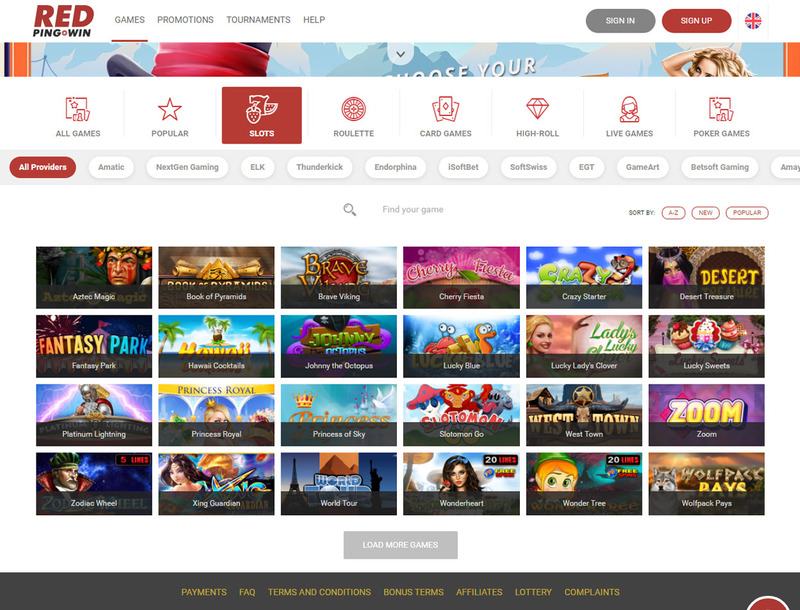 Bitcoin slots powered by popular software providers, such as Amatic, NextGen Gaming, Netent, Endorphina, SoftSwiss, and Betsoft Gaming, are also found here. The betting site even allows you to play lottery. With various games to choose from, it is impossible for you not to come back to this casino. When you register with Red Pingwin Casino, you get a chance to claim a big welcome bonus. Get 100% bonus just by depositing at least US$20. There will be featured games which can reward you with free spins on your first deposit. Jack Hammer 2 will give you 25 free spins, while Jack and the Beanstalk will reward you with 30 free spins. Tournaments and lotteries are open to players who are betting with real money. Weekly tournaments last from Monday to Sunday. All you need to do is place your bet and play slots as many as you can for a chance to win 150 free spins. There can be special tournaments as well, so check the Tournament page every now and then. You can use Visa, MasterCard, Skrill, Neteller, PaySafecard, Trustly, or WebMoney to deposit playing funds into your player account and to withdraw your winnings. Bear in mind that the minimum deposit is €10 while the minimum withdrawal is €20. Expect that all payment processes are instant. Also, do not worry because the site uses 128-bit SSL encryption technology to make sure that all transactions are safe. To register, simply provide your email address, name, date of birth, address, and other personal data. You also have the option to sign up using your Yandex, Facebook, Twitter, or Google account. Registration will only take a couple of minutes. If you have more questions about the gaming site, you can check the FAQ page. You can also reach the casino through its email and live chat support. Rest assured that the support team will respond moments after your message is received. Red Pingwin Casino is the perfect betting site for you to play popular games. It is one of the Bitcoin casinos that is worth checking out. With its rich gaming library, you will never run out of games to play. 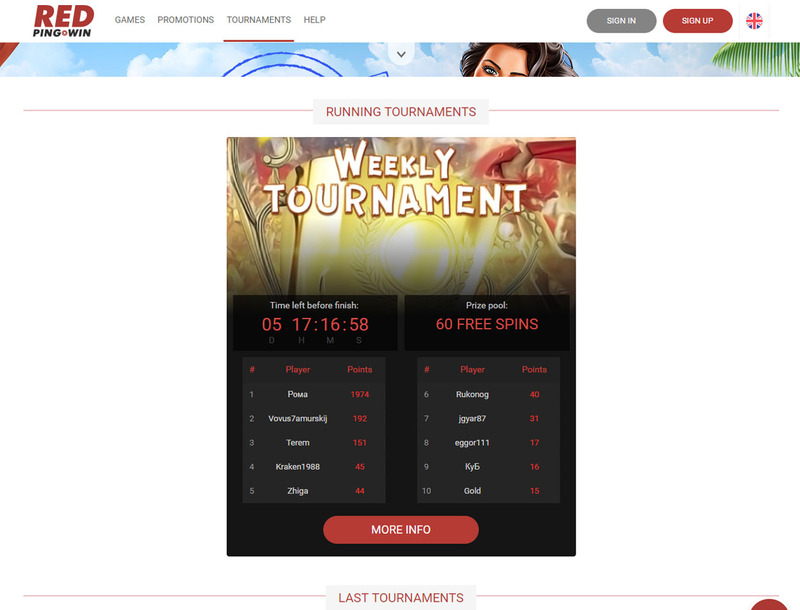 You can even join tournaments and lotteries for more coins. Register with this gaming portal to play the exciting games and win big prizes.